Mark Lautier (left) and David Leone Ganado. 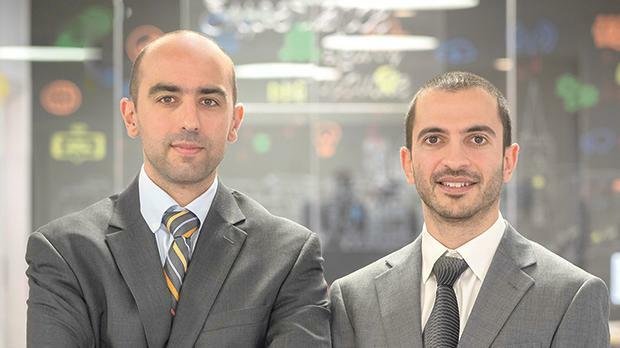 PwC Malta has announced the appointment of Mark Lautier as tax partner and David Leone Ganado as accounting advisory services director. Dr Lautier joined PwC Malta in 2005 after graduating as Doctor of Laws from the University of Malta. He subsequently completed the diploma in taxation offered by the Malta Institute of Taxation and a Masters in Taxation from the Institute of Advanced Legal Studies (University of London). Dr Laurier advises a wide range of local corporate and international clients on various tax and legal matters. Over the years he has acquired strong experience in direct and indirect taxation and also specialised in corporate, financial services and shipping matters. He also lectures at the University of Malta and the Malta Institute of Taxation. Mr Leone Ganado joined PwC Malta’s assurance service line as an ACCA student in 2000. He has gained a wealth of audit practice experience across a wide range of industry sectors, including periods of secondment to PwC Boston and PwC London. Since 2008, he has managed the firm’s accounting advisory services offering in which he provides accounting advice and support within the contexts of IFRS and GAPSME, the local GAAP accounting framework. Mr Leone Ganado has acquired significant experience in the implementation of IFRS requirements as well as advice in IFRS financial statement disclosures. He also delivers client and in-house training on financial accounting. Additionally, he supports the Malta Institute of Accountants through membership in the Local Regulatory Committee, has been a member of the GAPSME technical working groups set up by the Institute and has lectured financial accounting to ACCA students.